Discover the ancient city of Troy, learn about its importance in Greek mythology like the main battlefield in the Trojan War. During your travel from Istanbul, stop to eat in the coastal town of Eceabat. Take a tour by walking, explore around the archaeological site of Troy. Hear all amazing history and breath taking story about the famous Trojan Horse . Look inside, take photos and then ready to leave. Picking up from your hotel at 06.30 am and hit the road to discover marvellous Troy. You will arrive around 12.00 pm and first stop is Eceabat for a lunch break. After a delicious meal, take a ferry to take you to the Troy which is a city well-known to both history and legend. 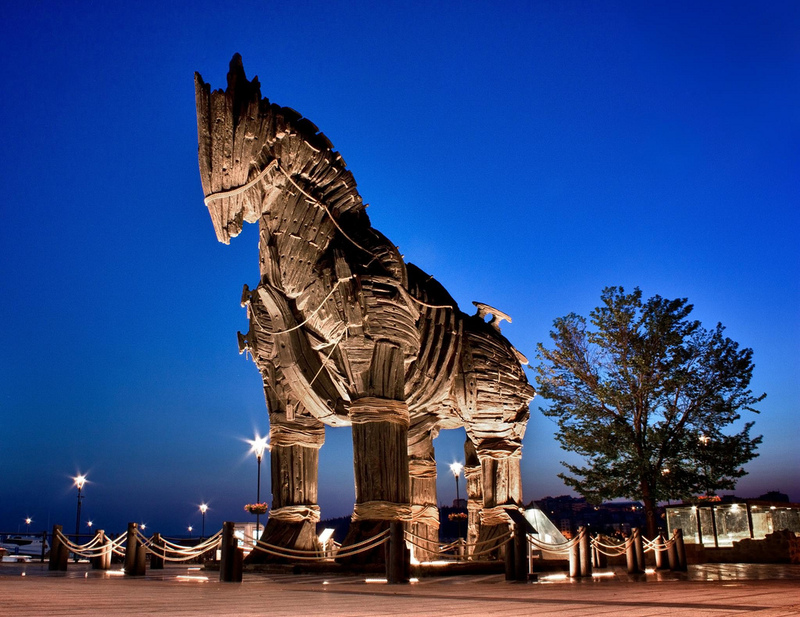 Learn of its connections to the Trojan War — was waged against the city of Troy by the Achaeans (Greeks) after Paris of Troy took Helen from her husband Menelaus king of Sparta— while visiting the Trojan Horse. The wonderful wooden sculpture serves as a symbol for the town, you will have a permission to take close-up photos by guide’s accompany.